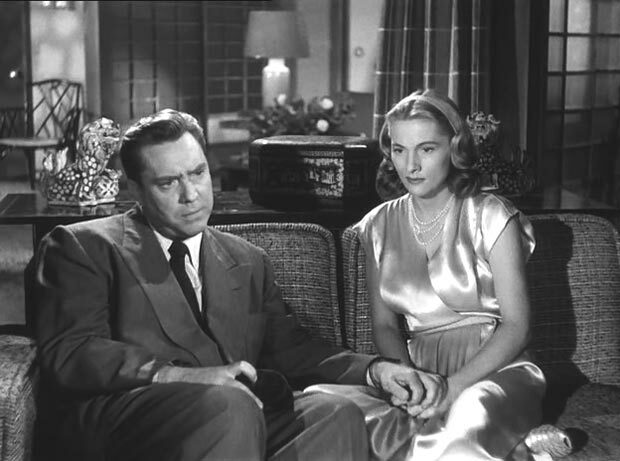 Harry (Edmond O’Brien) and Eve Graham (Joan Fontaine) are trying to adopt a child. 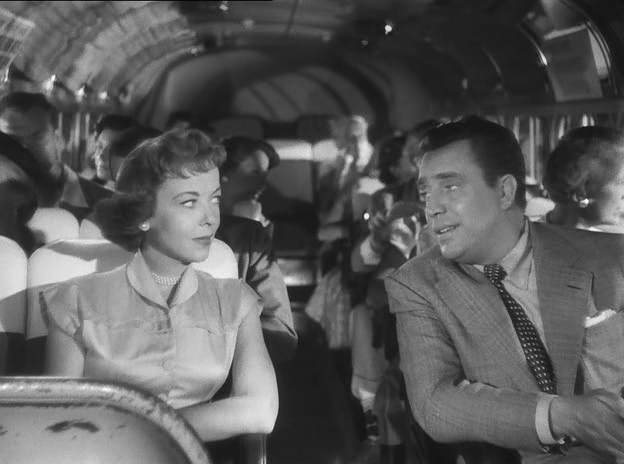 But the vetting of the adoption agency leads their contact person there, Mr Jordan (Edmund Gwenn) to discover Harry’s big secret: he has a second wife, Phyllis (Ida Lupino) with whom he has a child. Being found out, Harry opens up to Mr Jordan and has to face the consequences of his bigamy. The Bigamist must have been quite a scandal when the film came out with that subject matter (and directed by a woman no less). From todays point-of-view it may seem a little dusty, but it’s still well-told and interesting. Even though the story builds on a scandal, The Bigamist sets out to understand its characters and not to scandalize its audience. With the three central characters – Harry, Eve and Phyllis – it shows a sharp gaze that draws these characters very finely, observing and making their motives transparent and understandable, but not judging them. Admittedly I could have stomached a little more judgement of Harry. He didn’t set out to be a bigamist and he was just trying to do right by those two women who are both in love with him, but he did behave in a very hurtful towards both of them out of these good intentions. He betrayed them, he was dishonest and he made decisions for them he had no right making. In the end the women’s right to be angry is pointed out, but I would have liked to see more of that. But even if the film wasn’t harsh enough with Harry for my taste (although I will readily admit that the understanding approach is its biggest strength), I was engaged and interested and really wanted to know how things turned out. In particular I rooted for both women who are thankfully not put into competition with each other. The performances are good and I’m sure that it must have been nice for the actors to play these fleshed out characters. I certainly enjoyed watching them and the complexity granted to both characters and film itself. 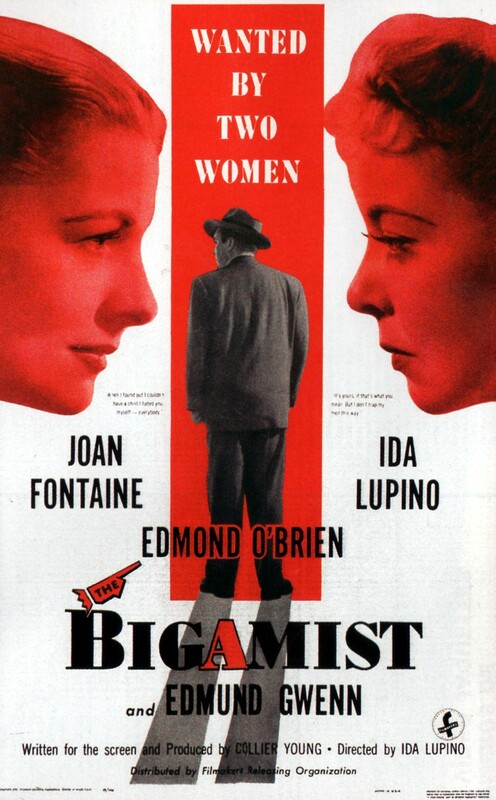 This entry was posted in female director, movies and tagged 1953, Collier Young, Edmond O'Brien, Edmund Gwenn, Ida Lupino, Joan Fontaine, Kenneth Tobey, The Bigamist by kalafudra. Bookmark the permalink.